West Hollywood will join Beverly Hills and Culver City in a community workshop on water conservation. Residents who attend the Water Quality and Conservation Workshop also can pre-order water barrels whose cost will be underwritten by their local water providers. In order to obtain rain barrels, residents must attend the complete workshop. The pre-order deadline for the rain barrels is Thursday. 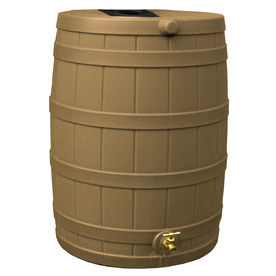 Rain barrels are available in black or terra-cotta color, and are $85 each. Upon receiving the rain barrels, workshop participants may visit the SoCal Water$mart Rebate Program website to apply for a rebate of $75 to $100 per barrel, depending upon residential water provider. This brings the maximum cost of each barrel to only $10 after rebates. Workshop participants may pre-order up to four rain barrels. Each barrel is made of food-grade recycled plastic. The barrels are 39 inches tall and 23 inches in diameter. Each barrel has a 55-gallon capacity. There is a 3/4-inch brass spigot for attaching a garden hose and there is a side brass overflow with a cap. A four-foot tight steel mesh screen prevents mosquitos and other bugs from accessing the water. Southern California is experiencing a serious drought, with one of the lowest amounts of rainfall on record. Rain barrels can be used collect rainwater for lawns and gardens to help save on water bills in sunny months. Rainwater is also better for plants and soil, as it is highly oxygenated, and free of salts and minerals found in tap water that can potentially harm plant roots. Additional information about water conservation in the City of West Hollywood is available online.